Miodrag Bozovic started coaching pretty early: aged 32 he headed FK Beograd. His main achievement at this early stage of the career was a 27-games all-win series with the Montenegrin club Buducnost. In 2008 Miodrag moved to Russia on the invitation of Amkar Perm. Grof immediately took Amkar to the 4th standing in the league – the club’s still unbeaten record. Also, the Red-Blacks made it to the final leg of the Russian Cup. 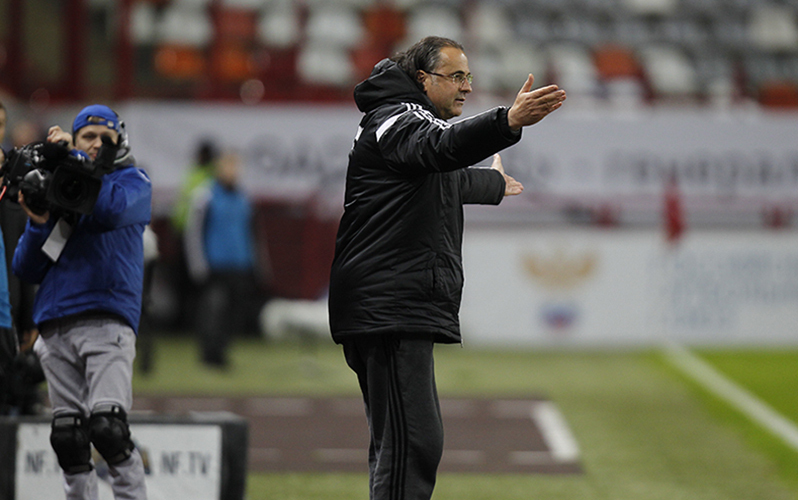 In the following years, Bozovic headed FC Moskva, Dinamo Moscow and again Amkar. During the last two seasons Miodrag managed FC Rostov and took it to the Europa League after they had won the Russian Cup in Season 2013/14 for the first time in their history. Miodrag Bozovic has resigned as Lokomotiv manager. His assistants Vojo Calov and Milorad Bajovic are also leaving the club. Miodrag Bozovic has quit as Lokomotiv manager. Lokomotiv head coach Miodrag Bozovic has summarized the match against CSKA of Gameweek 27 where his team lost 1:3. Lokomotiv head coach Miodrag Bozovic has summarized the match against Amkar of Gameweek 26 that ended in a draw 1:1. Lokomotiv head coach Miodrag Bozovic has summarized the Cup semifinal against Gazovik his team won in a penalty shootout 4:3. "We'll keep working with the ball"
Enjoy a Loko-TV video about the team's first practice in Belek, Turkey, and listen to what Miodrag Bozovic had to say.